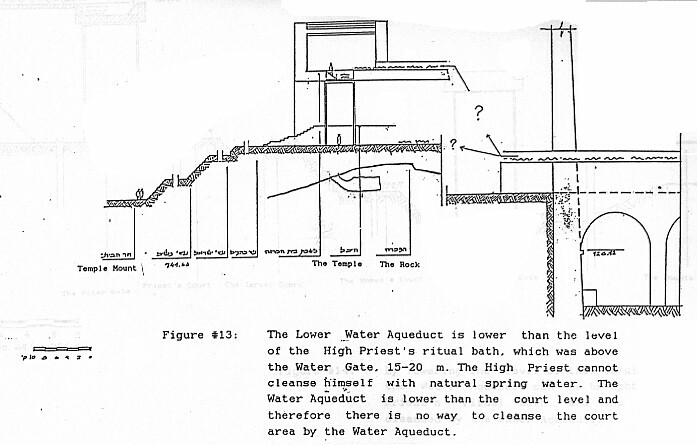 The Lower Water Aqueduct is lower than the level of the High Priest's ritual bath, which was above the Water Gate, 15-20 meters. The High Priest cannot cleanse himself with natural spring ("living") water. The Water Aqueduct is lower than the court level and therefore there is no way to cleanse court area by the Water Aqueduct.